One of the most nostalgic part about walk that leads to the lanes of memory is one of the most memorable walk.Walking down the memory lane ,the most cute and fluffy “Baloo” came to greet me with the oldest “hi”.Yes that good old ,scool life ‘Hi”. Today when afternoon’s mean one rest and escape from some tired schedule ,somewhere we all have the loner like “Akela” that always inspires us to go back to the days when treasure meant collection of stamps,Sachin-Rahul-Sourav post cards ,Dad’s old oil paints and brushes,some of the New York and Bangladeshi currency trapped in a wooded box baught from Puri Beach stalls.These days when happiness and self esteem is measured by likes on pictures posted over social media ,we truly need something that refreashes mind by taking us back to those good oldays when Indian Cricket Team winning a match was much more exciting than a selfie with a star.20/20 meant a gift from Dad .A cute lavender colored Push-up Pencil was like happiness over loaded. Some flavours does really take us back to such good old days. 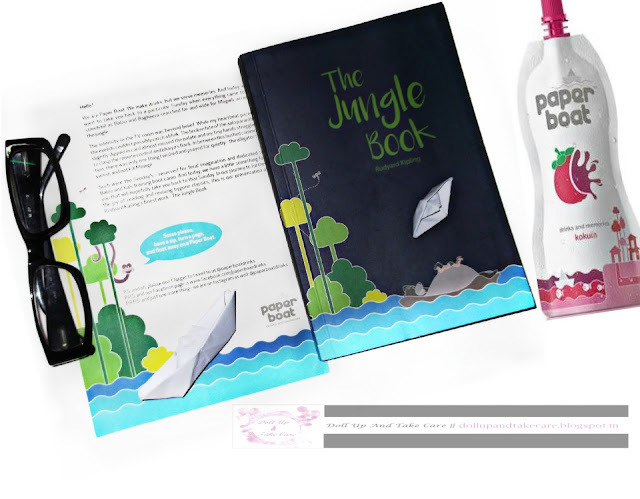 Paper Boat drinks and their unique flavor reminds us of such good old childhood days . This exotic berry flavours reminds me of how simple yet awesome those days were.Pizzas and synthetic Krushers can’t beat the freshness of nature.Every sip of Paper Boat Kokum was not only nostalgic but refreashing too.The people behind this awesome brand are Neeraj Kakkar ,James Nutall,Suhas Misra,Neeraj Biyani.This brand is coming up with fabulous flavours like aam panna, anar and many other . Honestly ,when the digital era is replacing too many aspects of life like phones already replaced camera and calenders.Trips to distant relatives have almost become skype “hi-hello”,Birthday ‘Payesh’(Bengali type kheer) replaced by Cake.Love for parents means personalized mugs and no time to visit native village or blaming it over dust allergy is trending these days.We often die to get a ticket when russia’s finest ballete team comes to the city,but we hardly remember how bihu or chhou looks like.The best thing about Paper Boat drinks is keeping the concept of enjoying every sip of life alive. I really enjoyed my trip to the Jungles and loved the reunion with Mowgli,ikki,bagheera and baloo.